In the fall of 2014 something magical happened in Kansas City. Something that hadn't happened in 30 years. Something that I’d literally dreamed of since I was 6 years old while listening to Denny Matthews on the radio. In the fall of 2014, the Royals made the postseason, and they almost won it all. During that time, I began to design prints and t-shirts that caught on around the metro. The main article of clothing was a shirt that was intended to skirt the copyrights of the MLB. This proved foolish in the end, but sent me on the best journey of my life. I sold shirts, met baseball royalty, attended the World Series and made 6-year-old-me’s dreams come true. At the root of Bumpleft was my love of baseball. The brand is pretty “on the nose” for this style and influence. A scripted font and angled type scream that this brand is about baseball. And it was. And it was great. The crown jewel of my retail line was the “Skyline Shield”. As most successful ideas go, the approach was simple. Replace the literal crown in the logo with what I held most dear, the city of Kansas City itself. This idea resonated with thousands of people in the metro and my retail business took off like a 95 mile per hour pitch leaving Kauffman stadium. The Bulk of the sales for the brand were based on my t-shirt designs. 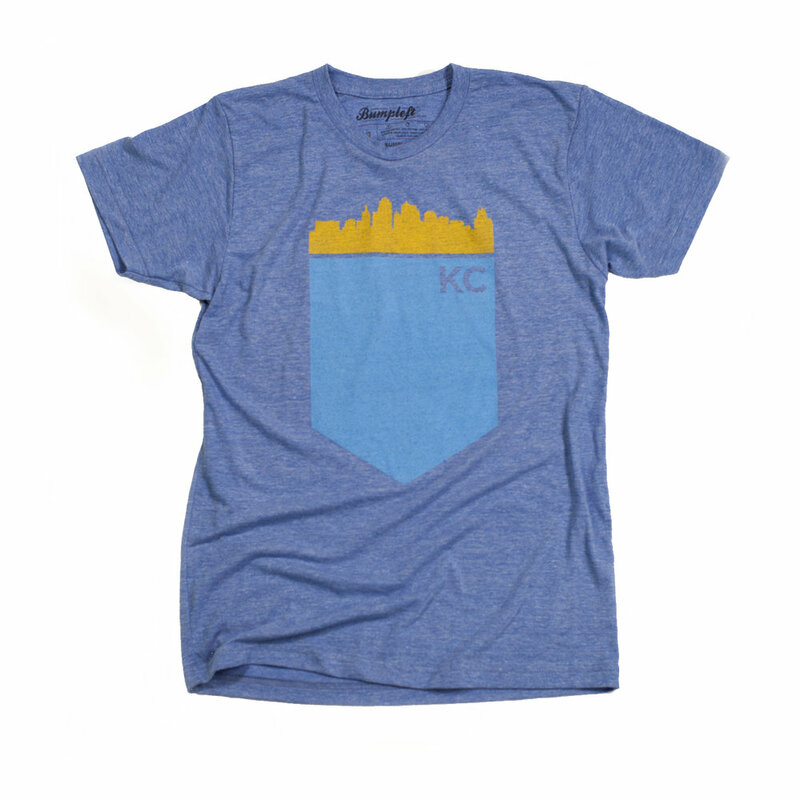 Several other designs followed, but nothing hit a homerun quiet like the Skyline. To support the clothing line, I created several posters. 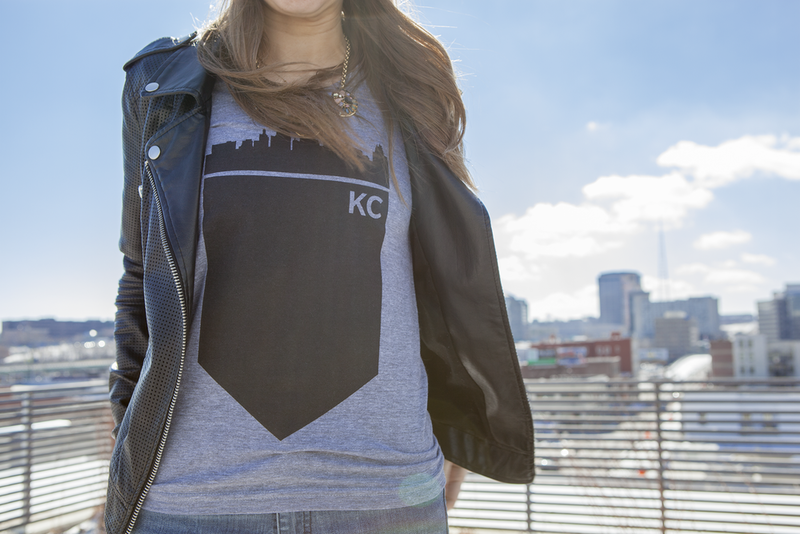 Some small, some large, but all inspired by Kansas City, Missouri. I attribute a lot of the success of this brand to timing, luck and my tireless work. Most of that work was spent ensuring the product I put out was of the most supreme quality. The best shirt stock. The best printing. The softest feel. The highest quality shirt and poster I could produce. This effort took months of painstaking quality control before I reached the ideal product. Luckily, I was able to work with some of the best vendors and manufacturers Kansas City has to offer. All of the photography for the website and social media was shot by yours truly. I kept the look and feel clean and simple and styled with some vintage touches. The overall feeling helped put my brand on several websites and gained a serious amount of online engagement.